Jay shares the tragic story about the demise of his wonderful DeLorean #06341, as well as how he started with the car and his passion for the car, and the beginnings of the DeLorean Motor Club Utah group. 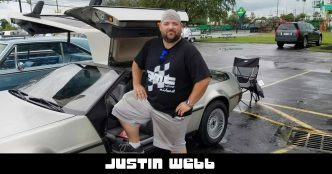 Justin talks about shipping his DeLorean cross-country, his first experience with the car in public, engine modifications, and sharing the DeLorean with others. 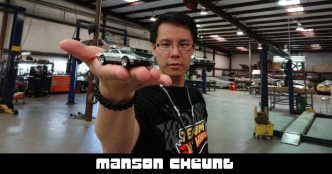 Manson shares his awesome story of designing the Hot Wheels DeLoreans – before he even bought his DeLorean; his love of the fuel flap; and the cracking binnacle.